Masterstrokes on the vast canvas called sky in Bandra east. 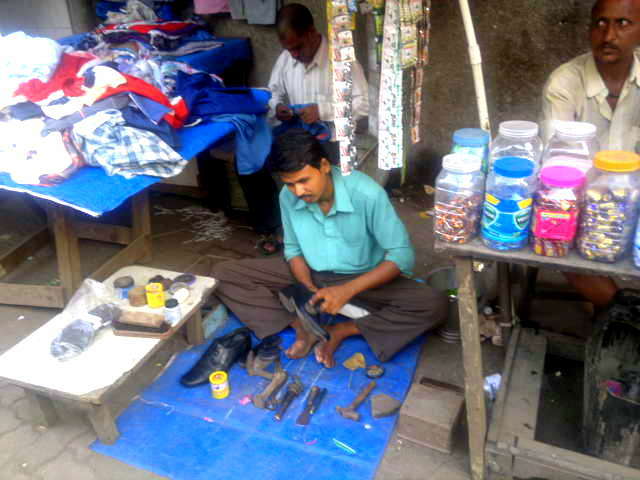 A cobbler has managed to squeeze in to put up his business in between 2 carts on the street in Lower Parel. 'Bombay duck' also called 'Bombil' locally is a popular fish that is best had fried. 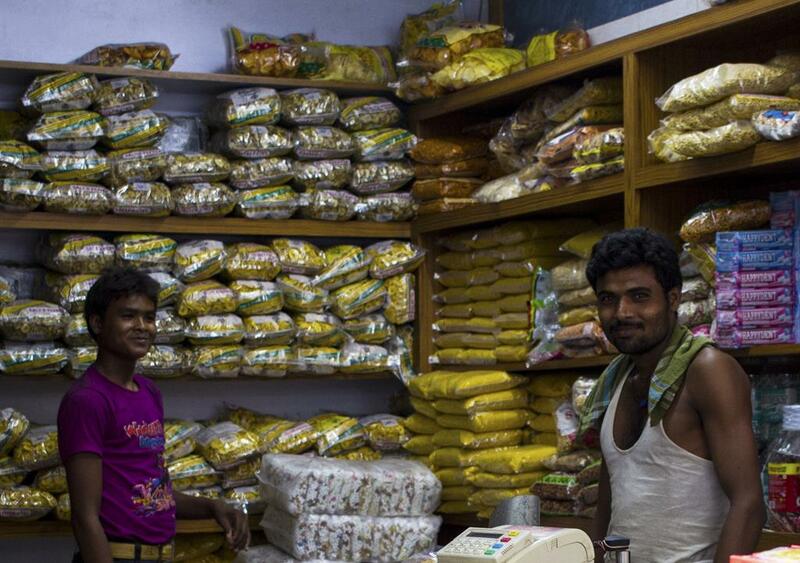 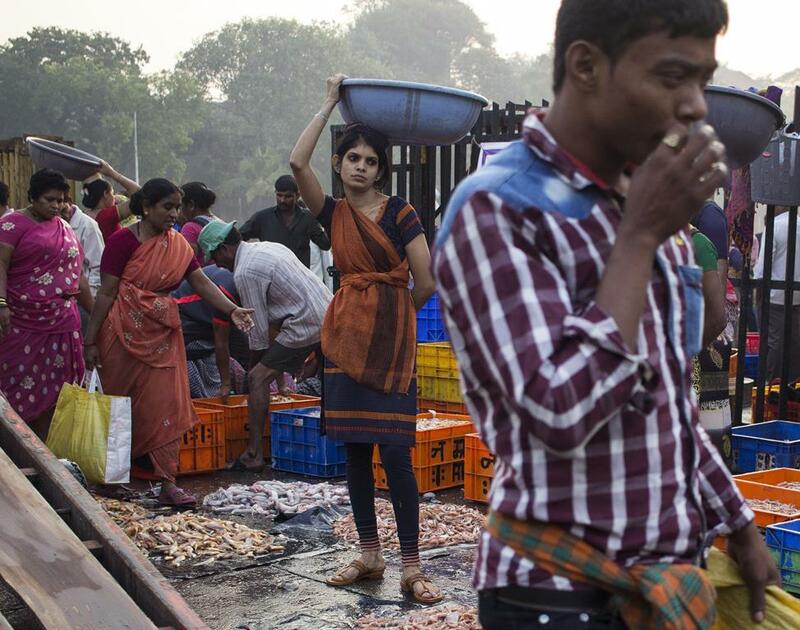 Sold by the basket and crate at Sassoon docks, fresh off the boat. 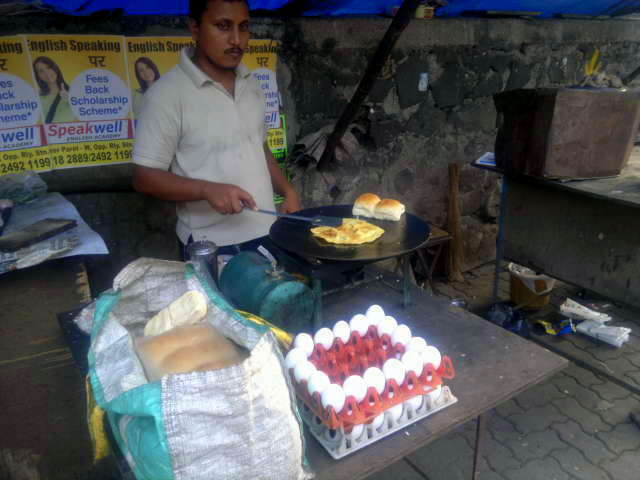 Bread and eggs, street fast food in Lower Parel. 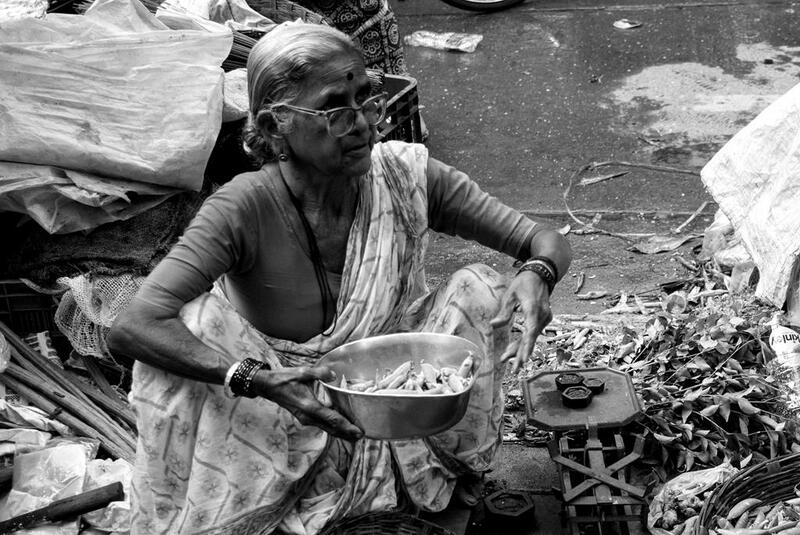 Vegetable vendor on the streets of Lalbaug. 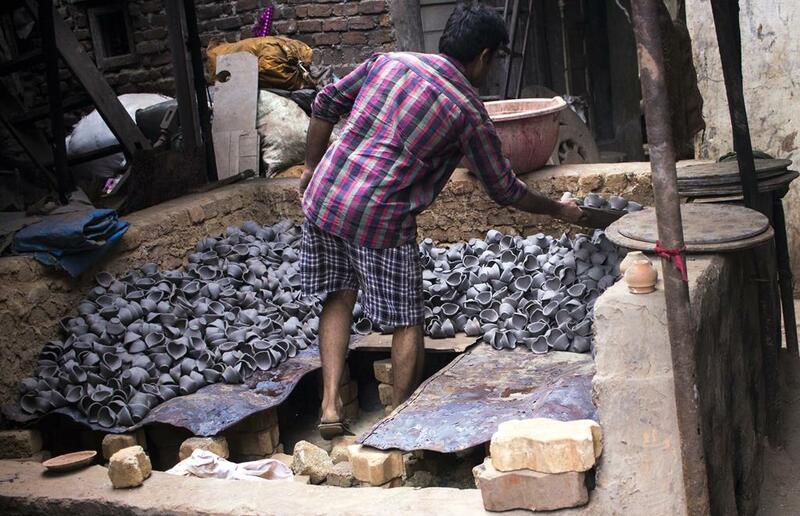 Mass production of earthen lamps in Kumbharwada, Dharavi. The fisherman and his friend the blue heron bidding farewell to each other at the Worli jetty. 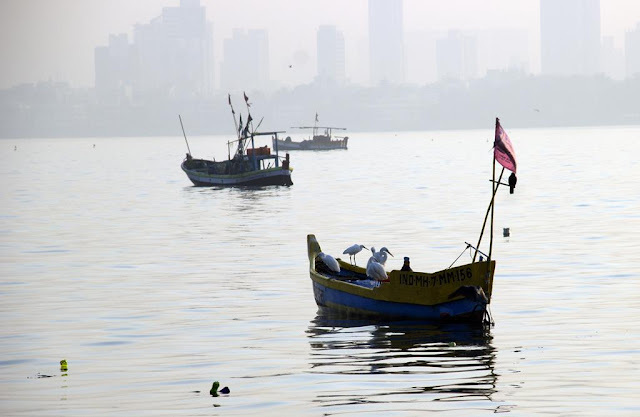 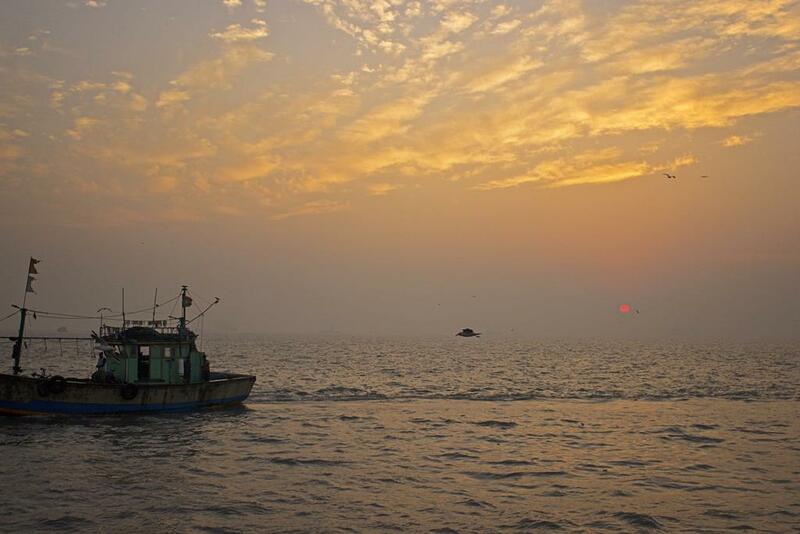 Mumbai dawn at Sassoon docks. 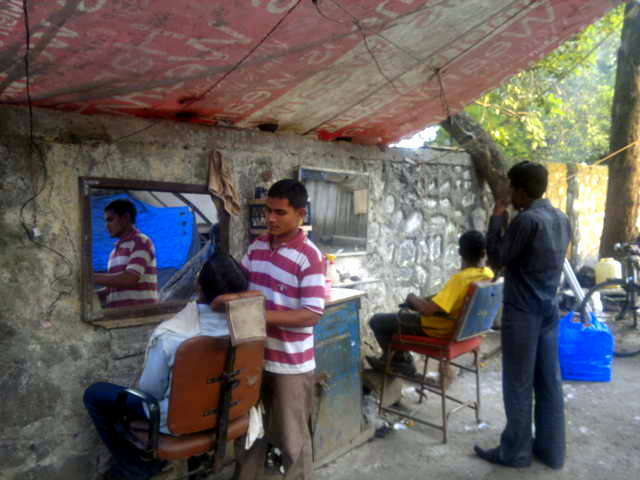 The outdoor, fresh air, barbershop in Lower Parel. A quiet moment in the ongoing madness at Sassoon Docks fish market. Humble abodes in Lower Parel. 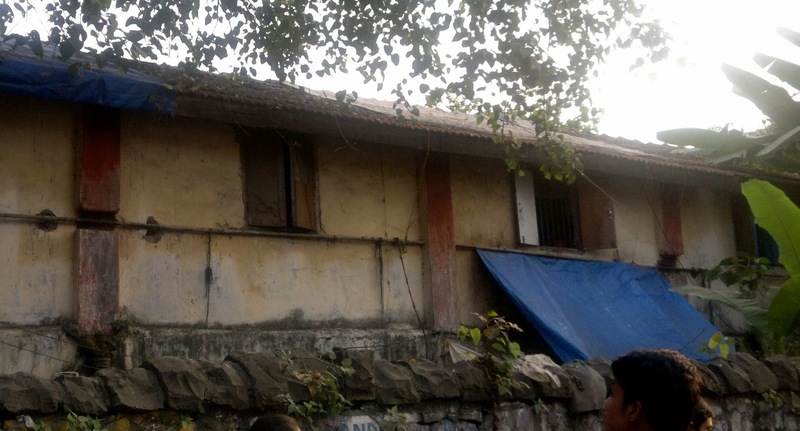 These are typical single room tenements in a row called chawls. 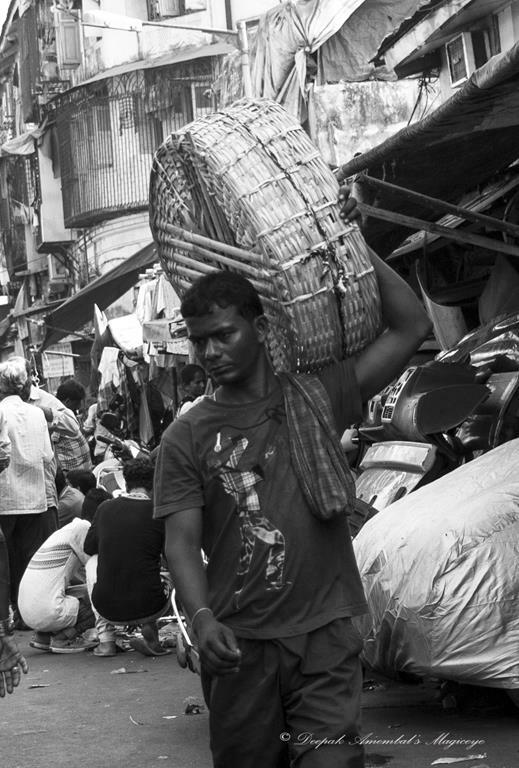 A porter in Chor Bazaar. 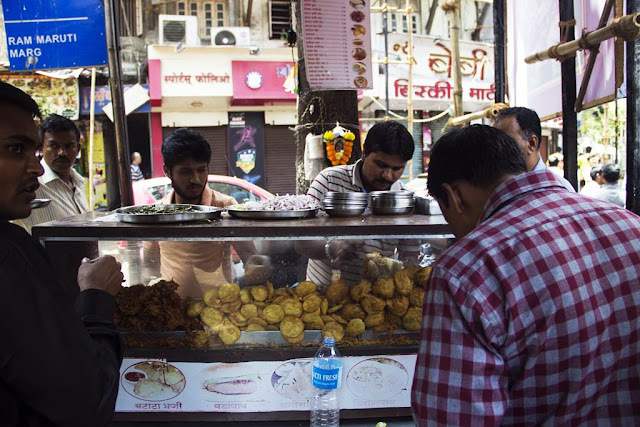 Mumbai's favourite street food - Batata vadas. 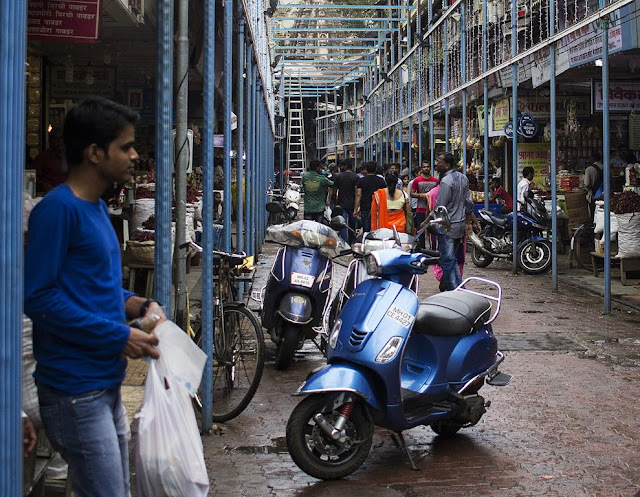 Vehicles, pedestrians, buildings and shops, all sharing space without conflict in Lower Parel. The bird is soaring high to catch the dying rays of the setting sun. 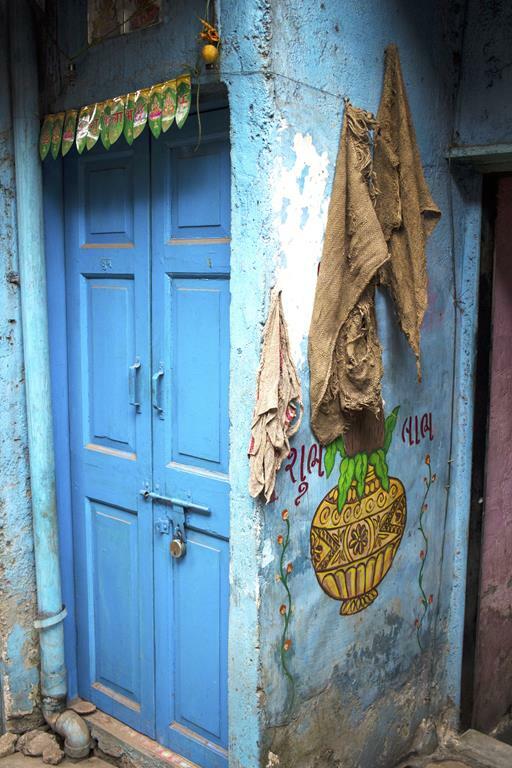 Closed doors and wall art in Kumbharwada, Dharavi. 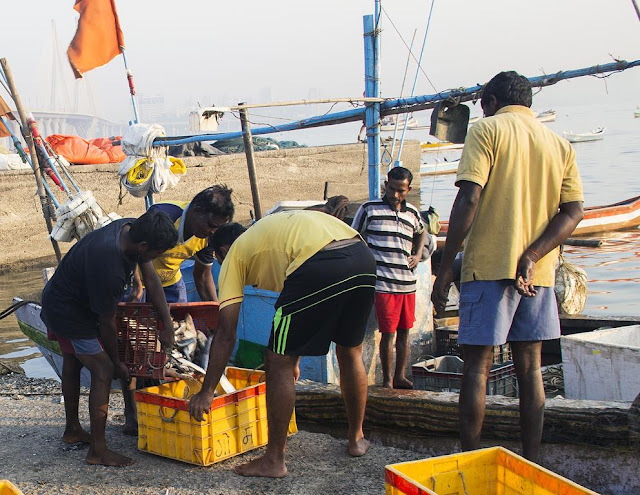 Transfer of the catch from the boat to crate. 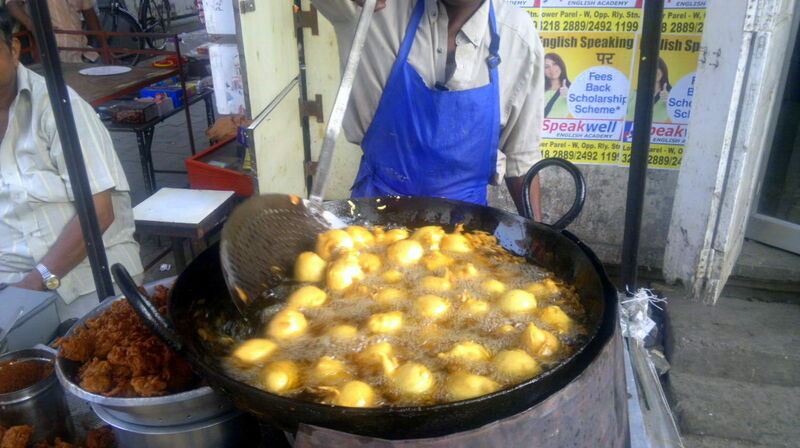 A street food stall in Shivaji Park. 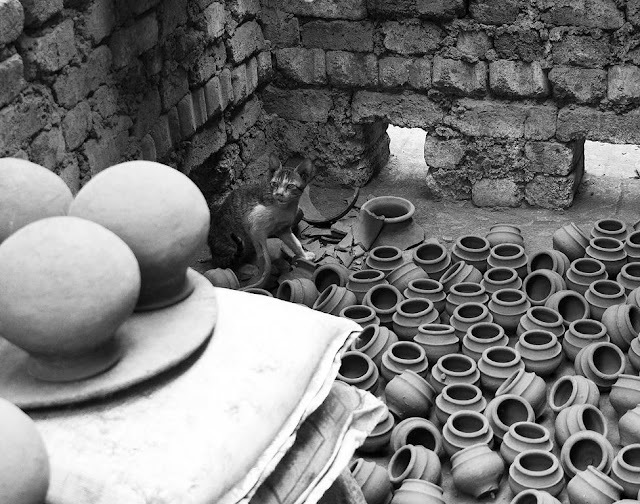 A cat among the pots in Kumbharwada, Dharavi. 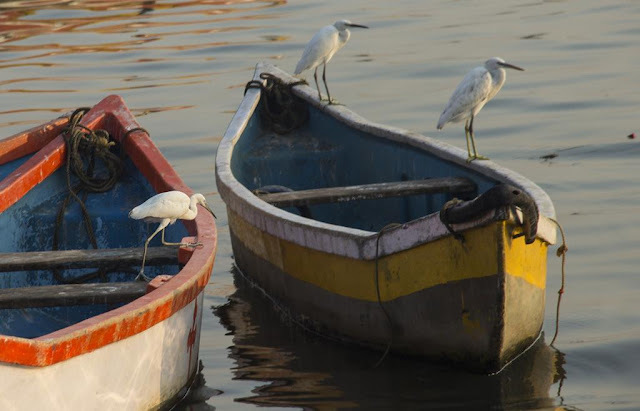 Ready to take a leap to join his friends on the other boat. 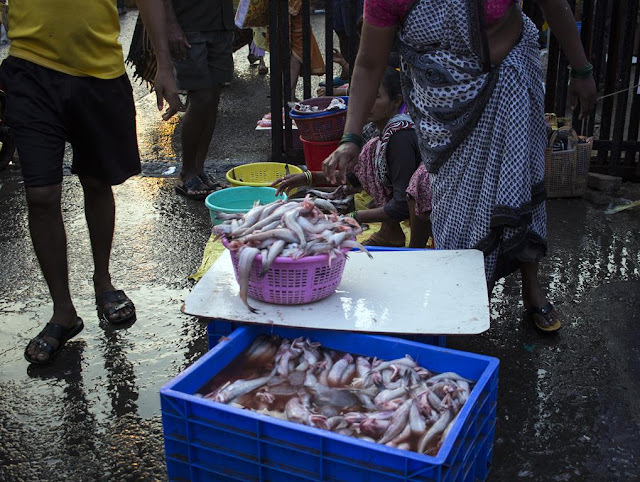 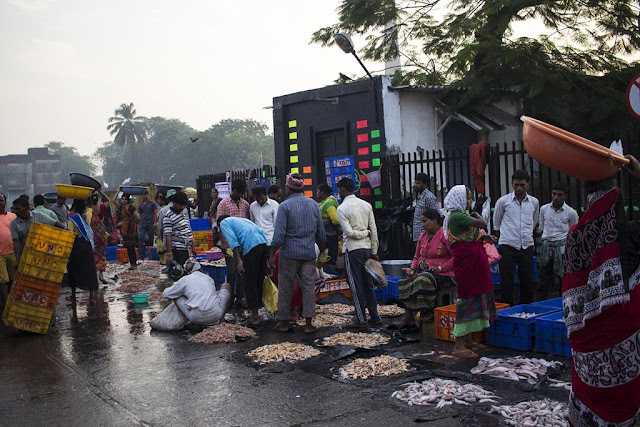 The 1st lot has been picked up by the wholesalers, now the leftover fish is out for sale by the retailers at the Sassoon Docks. 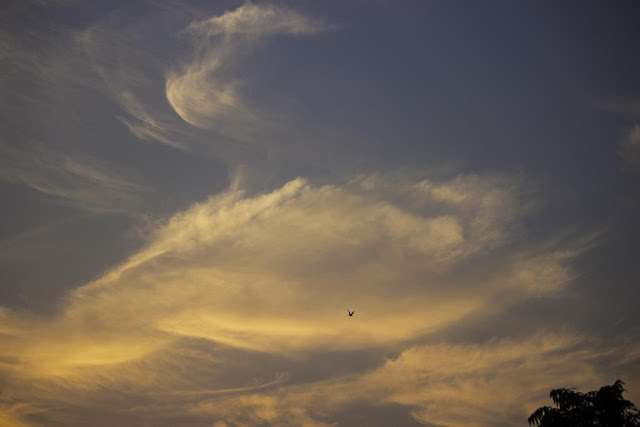 The crow in Bandra east joins the meme and watches the sky. Workers in a shop selling sweets and savouries in Lalbaug for the festive season look happy sighting a festival bonus perhaps! 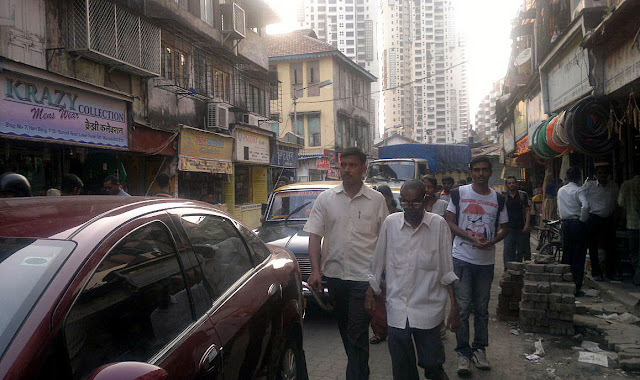 The narrow lanes/bylanes called Patli galli in Hindi all over Mumbai. 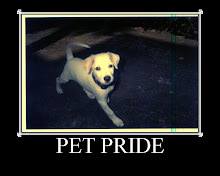 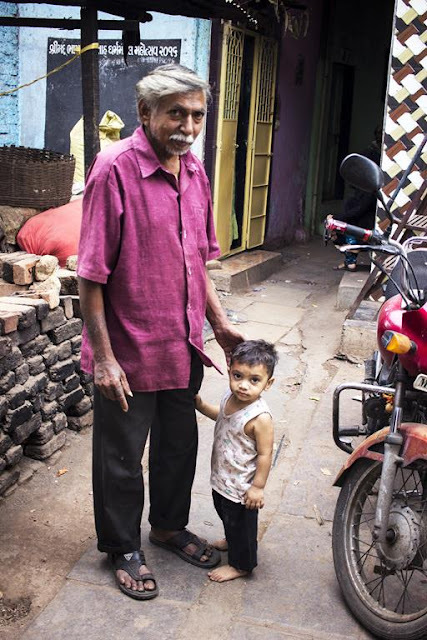 This one is in Lalbaug. 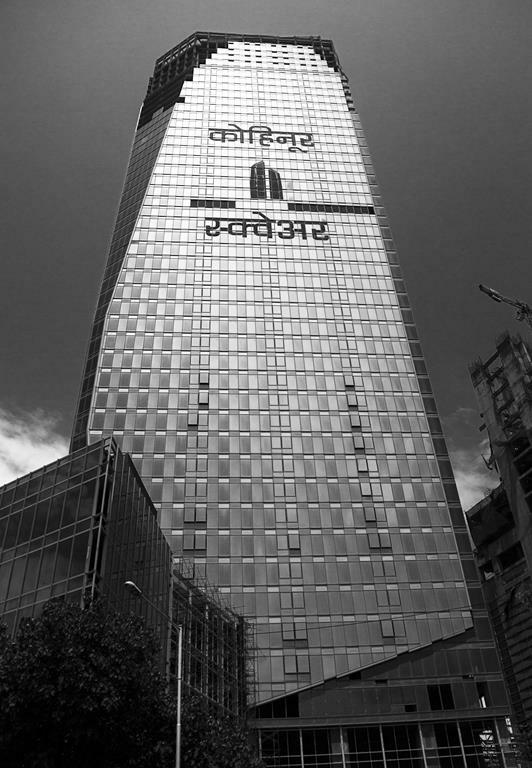 The festival of lights has begun. 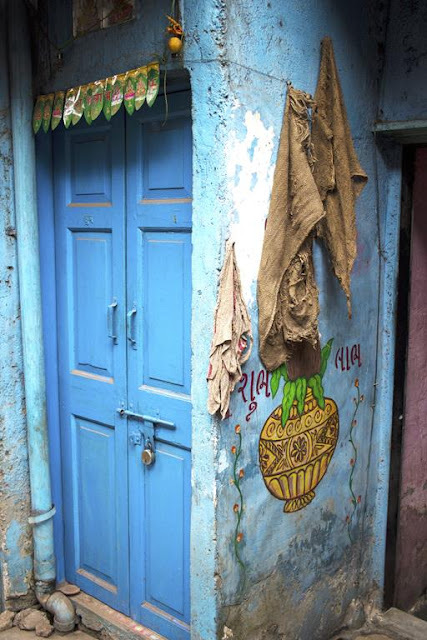 Outside almost every house you will find Rangoli adorned with lamps and lanterns strung outside windows. Kohinoor square reaching for the sky in Dadar. Walk don't ride says the grandfather in Kumbharwada. 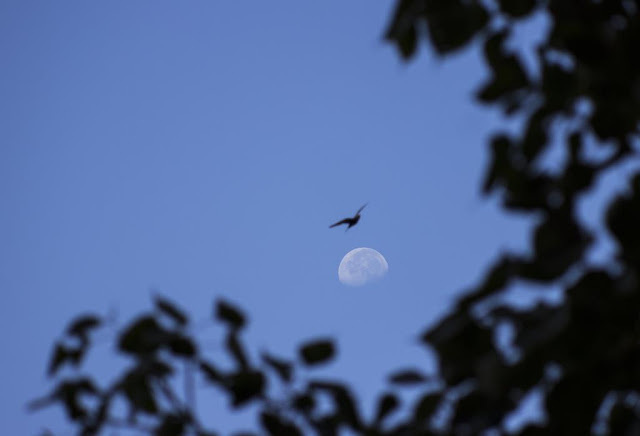 The bird wooing the moon, up in a clear blue sky, in Bandra. 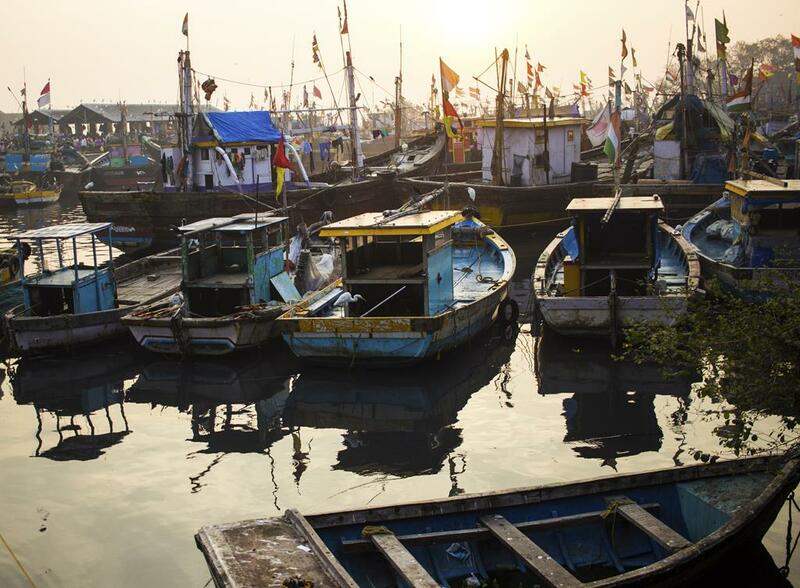 The feeder boats are anchored, parked, docked after a job well done at Sassoon docks. 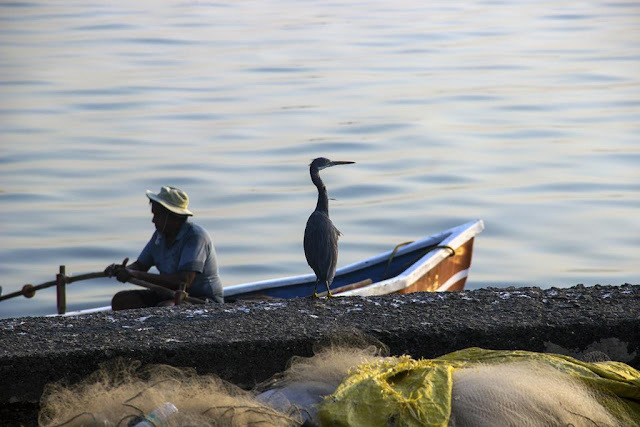 These are the true friends of the fisherfolk.